Bookings made on the non-refundable rate will be charged on booking. Cancellations of a non-refundable rate do not receive any refunds. Bookings made on the standard rate that cancellation before 48 hours of arrival can cancel for free. Any cancellation within 48 hours arrival, gets charged a penalty of 1 night. 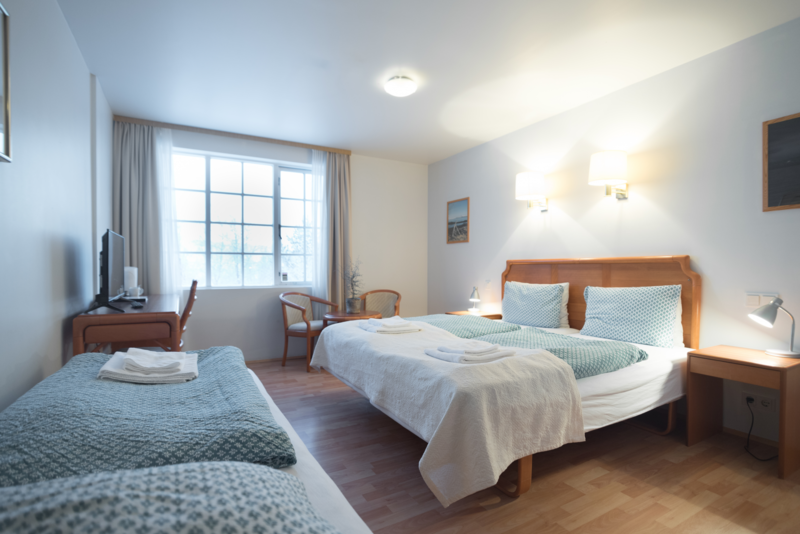 Our standard double / twin rooms are either on the ground floor or on the first floor. Rooms are mostly garden viewing. They come with 2 twin beds or a double bed. The ensuite bathroom includes a bath and shower. Our wheel chair access room comes with a walk-in shower. All our rooms have coffee / tea making facilities, a writing desk and chair, flat screen TV and free wifi. 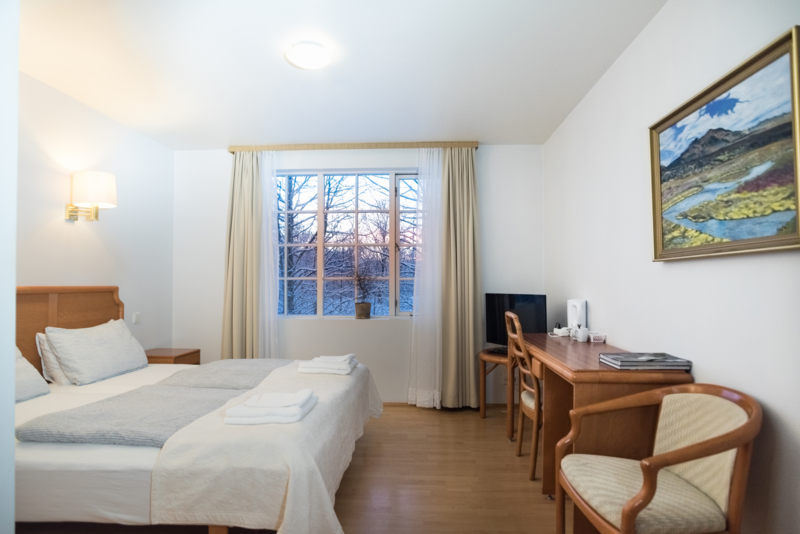 Our standard triple rooms are on the ground floor with a mountain view. They come with 3 twin beds. The ensuite bathroom includes a bath and shower. All our rooms have coffee / tea making facilities, a writing desk and chair, flat screen TV and free wifi. There are 3 family rooms, 1 on the first floor and 2 on the ground floor. The first floor family room comes with a king bed and 2 single beds, a large seating area and a walk out balcony. 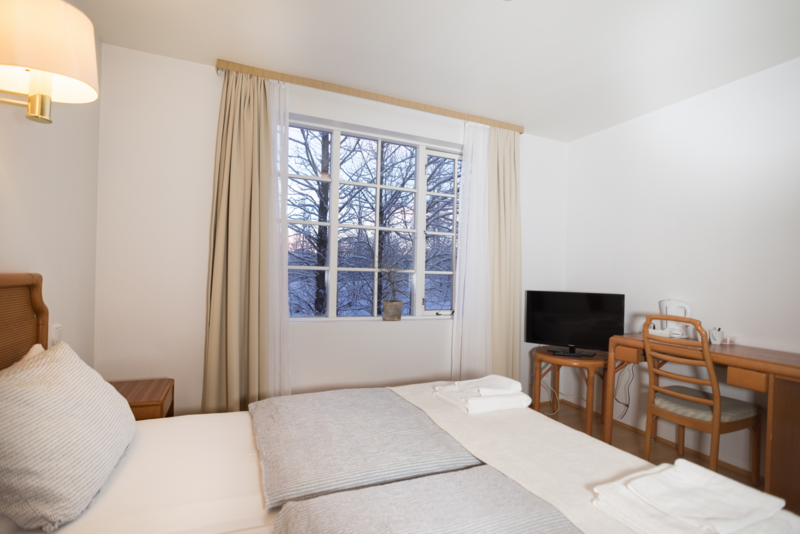 Our 2 ground floor family rooms come with 4 twin beds and are mountain viewing. The ensuite bathroom includes a bath and shower. All our rooms have coffee / tea making facilities, a writing desk and chair, flat screen TV and free wifi. 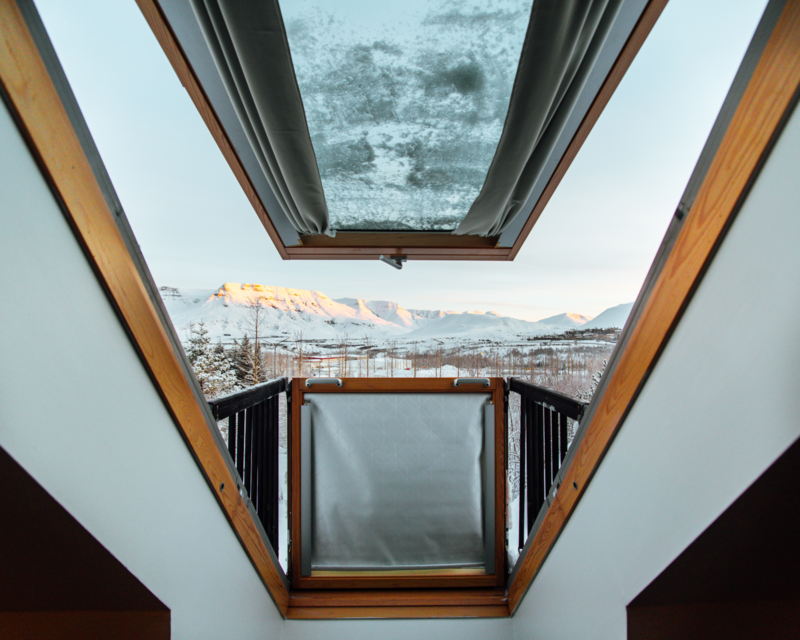 Our studio rooms are on the ground floor and mountain viewing and have their own private entrance direct from the car park, which means its ideal for self-drive guests. 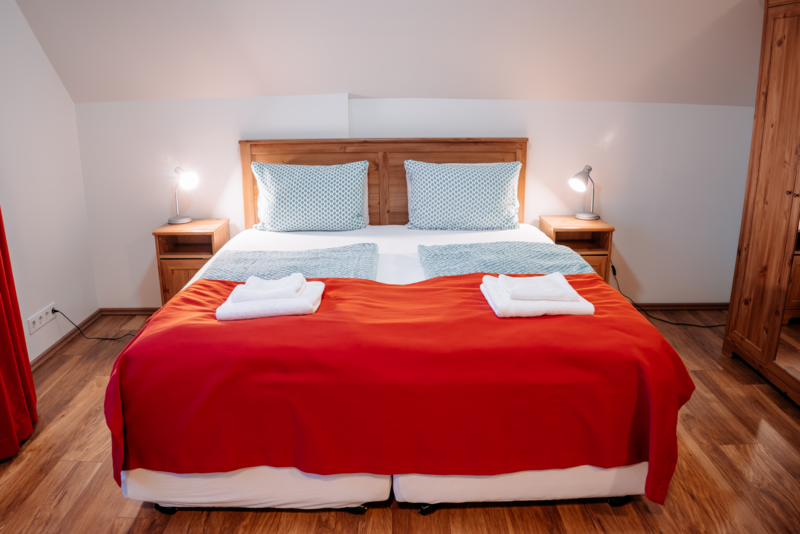 They come with 2-3 twin beds, and some have a sofa bed available instead of the third twin bed. 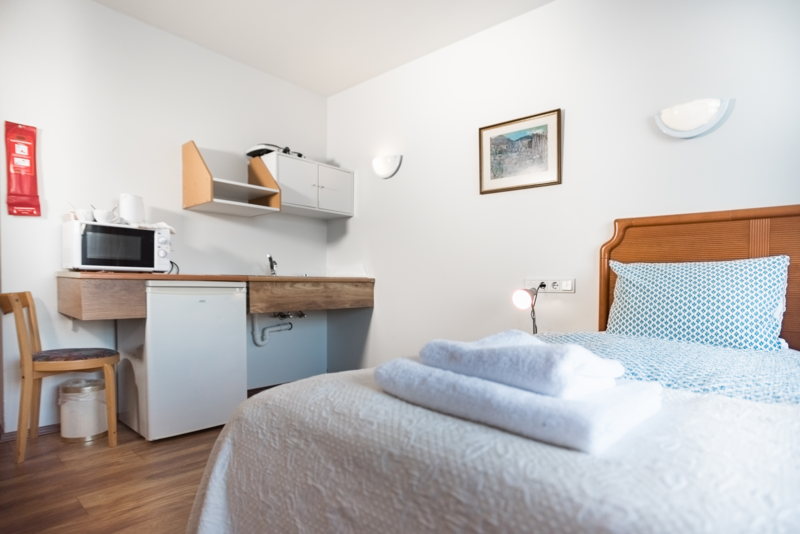 The studio room is for self catering which includes a small kitchenette and a fridge with cooking utenstils. The ensuite bathroom includes a bath and shower. Our wheel chair access studio room comes with a walk-in shower. All our rooms have coffee / tea making facilities, a writing desk and chair, flat screen TV and free wifi. 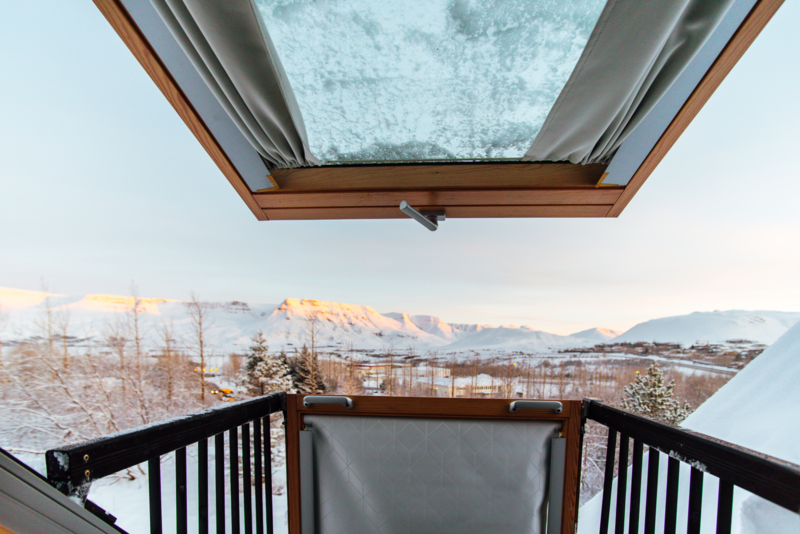 Our first floor suite rooms have an amazing mountain view and come with a king bed, large seating area and a walk out balcony. 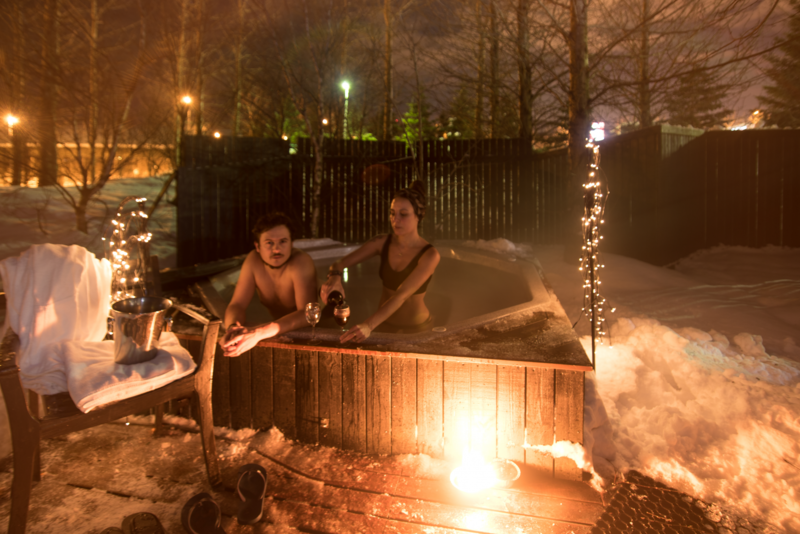 This is perfect for those special occasions for a couple and for northern lights viewing. The ensuite bathroom includes a bath and shower. 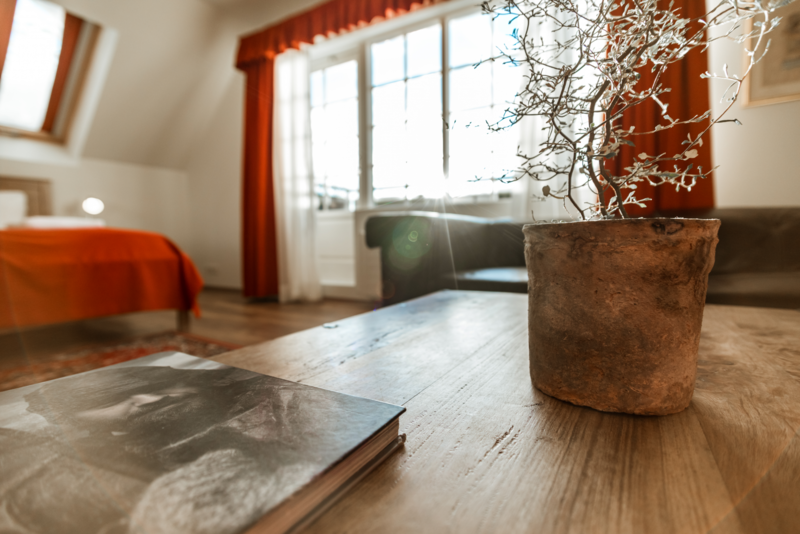 All our rooms have coffee / tea making facilities, a writing desk and chair, flat screen TV and free wifi. 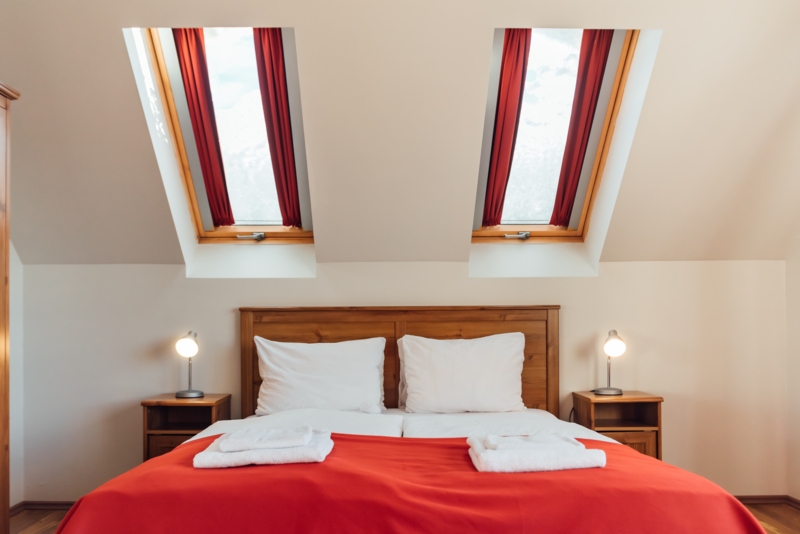 Our first floor deluxe double room has an amazing mountain view and come with a king bed, small seating area and a fold out balconette. The room is perfect for northern lights viewing. The ensuite bathroom includes a bath and shower. All our rooms have coffee / tea making facilities, a writing desk and chair, flat screen TV and free wifi. 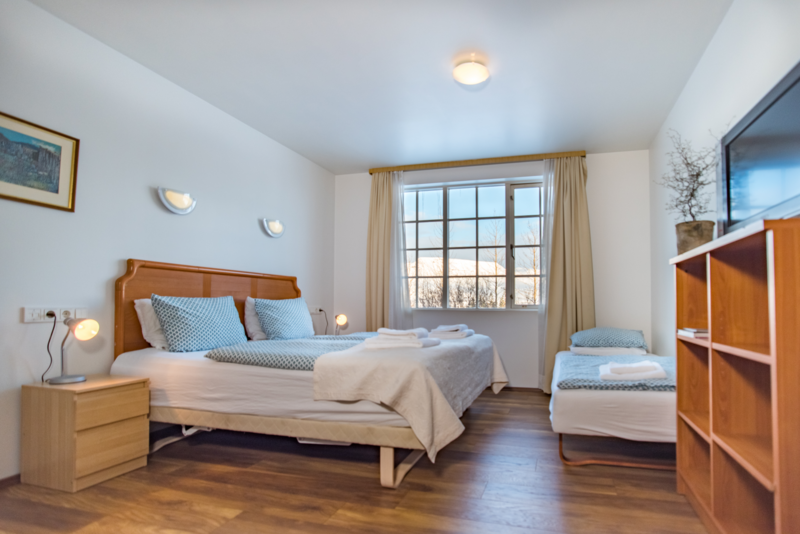 Our first floor deluxe twin rooms has an amazing mountain view and come with 2 twin beds, small seating area and a fold out balconette. 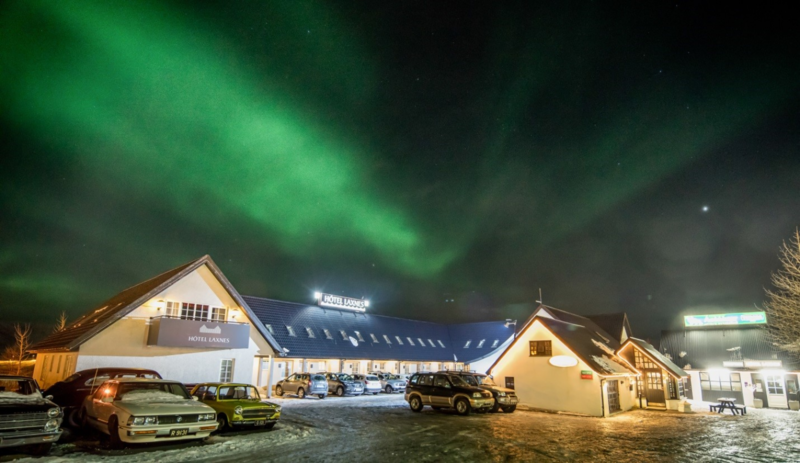 The room is perfect for northern lights viewing. The ensuite bathroom includes a bath and shower. 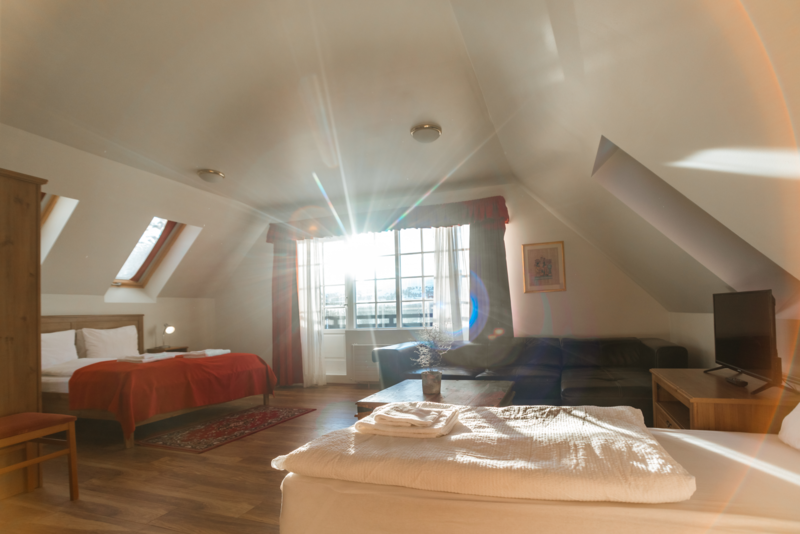 All our rooms have coffee / tea making facilities, a writing desk and chair, flat screen TV and free wifi.